Charity is a matter of the heart for ENERGETIX. 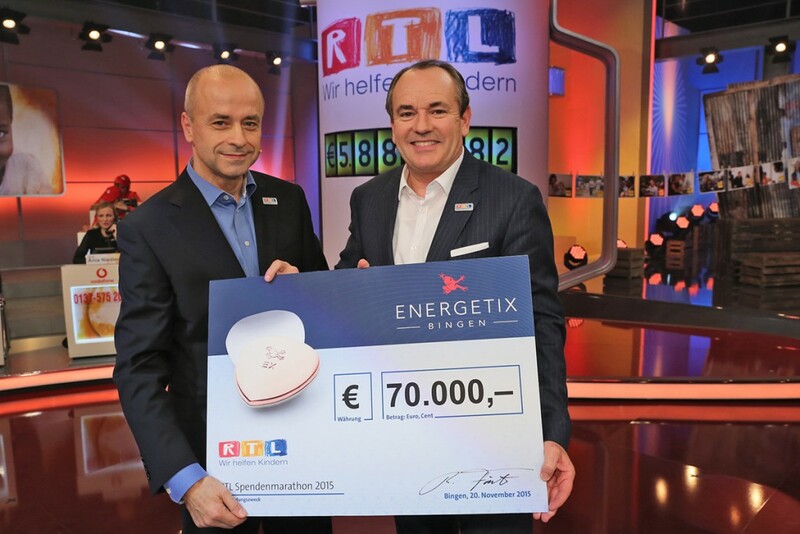 In addition to its other charity commitments, ENERGETIX also recently took part in the 20th anniversary of RTL’s telethon – a mega event that supports children in need. The target: to generate as much money for the good cause in 24 hours as possible. A wide range of different activities were arranged to achieve this goal. Joining in with spectacular activities for eight years: extreme sports endurance personality, ENERGETIX friend and enthusiastic wearer of sportEX – Joey Kelly. His ambitious target for 2015: to endure 24 hours on a treadmill. 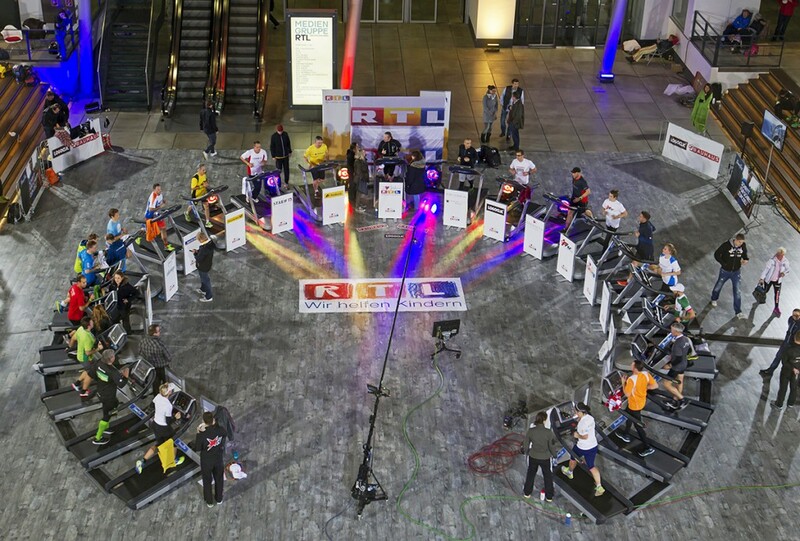 A further 20 treadmills were also set up on which relay teams representing such companies as ENERGETIX also ran for an entire 24 hours. 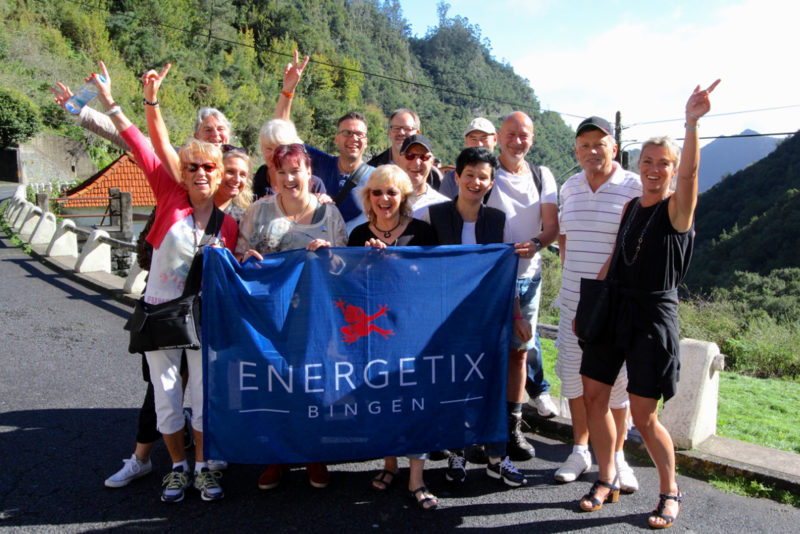 ENERGETIX’s Andreas Förster, Fabiana Reichmann, Jessica Schlick and Petra Schmeing cheered the team on from the sidelines as tireless motivators and organizers. Yes, Joey kept going and did the entire 24 hours on his own. 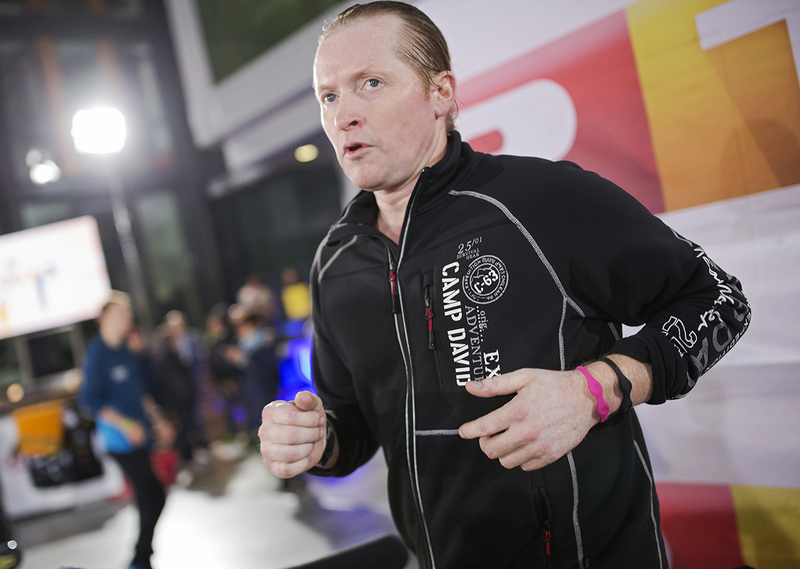 But he wasn’t really alone, of course, because the 20 teams of runners (including teams representing Bauhaus, Postbank, Sparda Bank, Deutsche Post and Luke Kelly) were also present in the large hall with each relay team running on separate treadmills. They also gave their all. The companies donated 10 euros to be added to the grand total for every kilometre run. 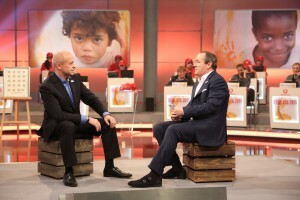 Roland Förster, Sole Shareholder and CEO, joined the host, Wolfram Kons, at the RTL Studios in Cologne on Friday evening. 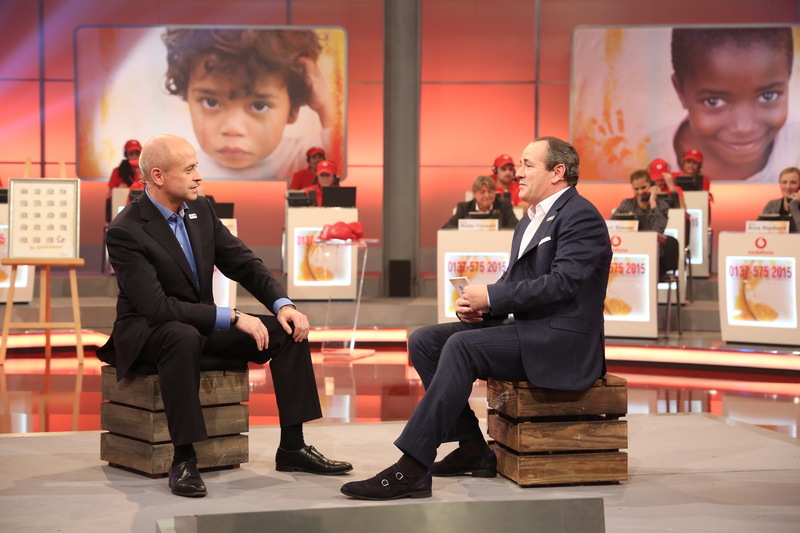 This was also when the total amount that ENERGETIX would be donating was revealed: 70,000 euros! 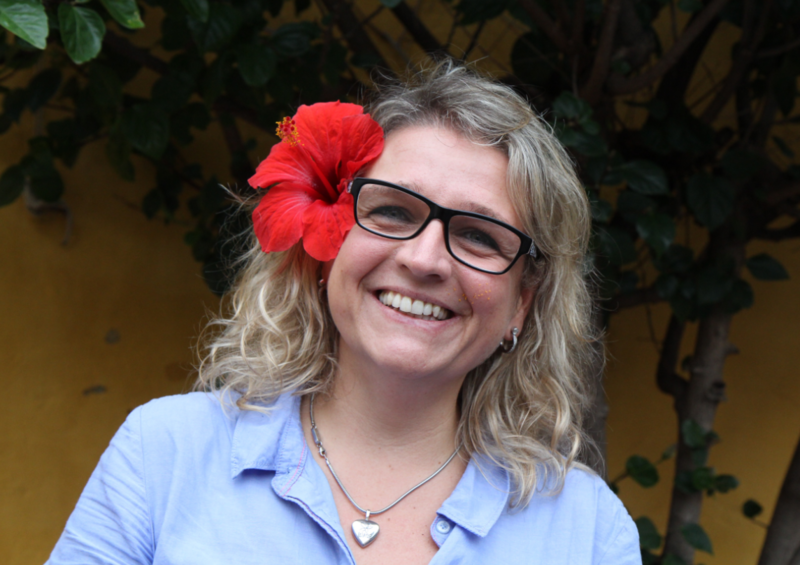 Competition to attract new business partners: Winners announced! At the 2015 Catalogue Launch in Berlin, Jessica Schlick, Head of Marketing and Sales, challenged all business partners to take part in a very special competition to discover who could sign up the most newcomers in September and October 2015. The most successful person would be featured on the cover of the next issue of ENERGETIX’s magazine, which is published twice a year! Claudine Guillard, who is a very successful business partner in France, took first place in this competition. Wonja Koch, a young and upcoming business partner from Germany made it to second place while Wolfgang Schneider followed in third. We congratulate the winners on their outstanding work and say: keep it up! Read more about the winners and their formulas for success in the next EX Magazine! True to the motto, ‘Under Nature’s Spell’, the winners of the second category training trip travelled to the picturesque island of flowers – Madeira – at the end of October! Original and colourfully designed front doors in the old town of Funchal (the island’s capital), ‘azulejos’ (the famous blue ceramic tiles) and Madeira’s artistic embroidery (which besides its wine is the island’s most famous export): the participants were able to discover and admire all this and much more. And, of course, there was lots of time to compare notes about their professional activities as independent ENERGETIX business partners!